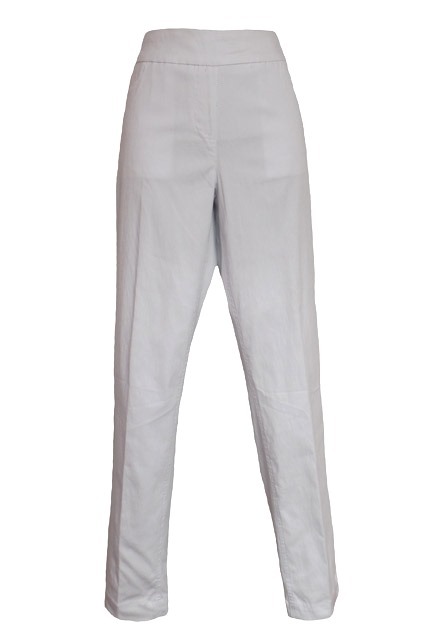 Slim Sation By Multiples Full Length Skinny Leg White Pant With Tummy Panel Contoured 2" Waistband Pull On That Has 31" Inseam, 13" Leg Opening, Front Pockets Only & Vented Leg. Fabric 76% Rayon, 21% Nylon & 3% Spandex. Machine Wash/Delicate. Line Dry.